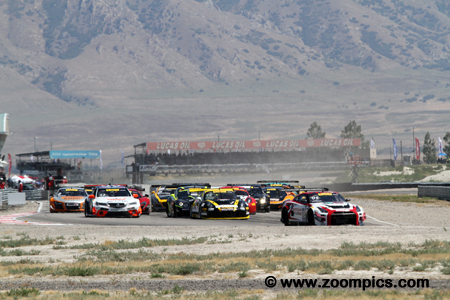 Utah Motorsports Campus hosted rounds sixteen and seventeen for the GT cars in early August. Teams competed on the fifteen-turn 3.048-mile ‘Outer Course’. Saturday’s overall and GT class podium at the 2016 Grand Prix of UMC presented by Energy Solutions. To the left is the runner-up Adderly Fong from Bentley Team Absolute. 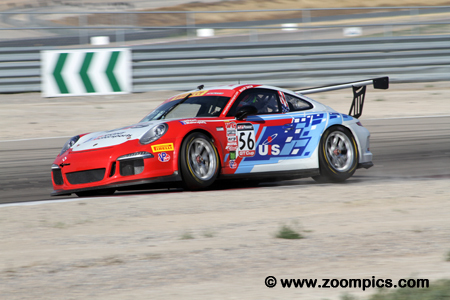 And, on the right competing in the Wright Motorsports Porsche 911 GT3 R is Patrick Long. 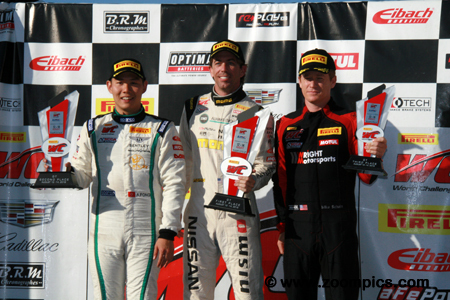 In the center, victorious for the first time is Nissan driver Bryan Heitkotter. The trio repeated this performance in round seventeen. Bryan Heitkotter, driving the No. 05 AE Replay XD Nissan GT Academy Nissan GT-R GT3 scored his first Pirelli World Challenge GT win. In the weekend’s first race Heitkotter qualified third but an incident between the front row starters – Alvaro Parente and Michael Cooper – allowed him to take first and lead all twenty-six laps. He repeated his performance on Sunday – leading flag to flag for his second victory. The final round of the weekend and Bryan Heitkotter gets the jump on pole-sitter Michael Lewis to lead the field of twenty-two starters into corner one. The second row of Patrick Long in the Wright Motorsports Porsche and the Bentley of Adderly Fong would also displace Lewis. He would finish fourth – 4.250-seconds behind Heitkotter. 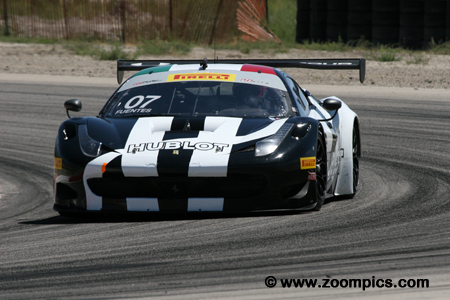 In the GTA category, Martin Fuentes driving the Scuderia Corsa Ferrari 458 Italia GT3 scored his ninth win of the 2016 Pirelli World Challenge season. On Sunday, Fuentes started eight positions behind class leader Frankie Montecalvo. Montecalvo jumped to an early lead but faded and was passed by Fuentes on lap-22. With his ninth victory of 2016, Fuentes established a new record for the most wins in a season. 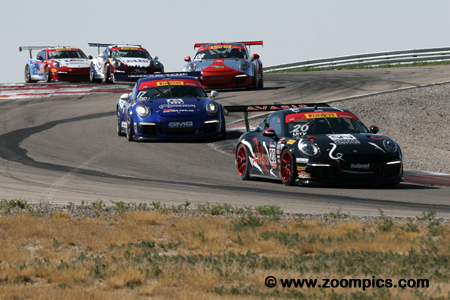 During Saturday’s race the Porsche GT Cup competitors line-up single file through ‘The Attitudes’. 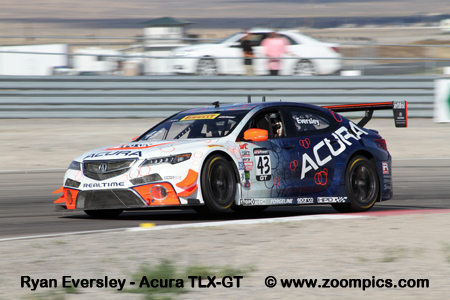 Leading the group is eventual race winner Sloan Urry in a car prepared by TruSpeed Motorsports. Urry is followed by series points lead Alex Udell. Udell led laps twelve through eighteen and for the remaining eight circuits Urry was out front to score his fifth victory of the season. 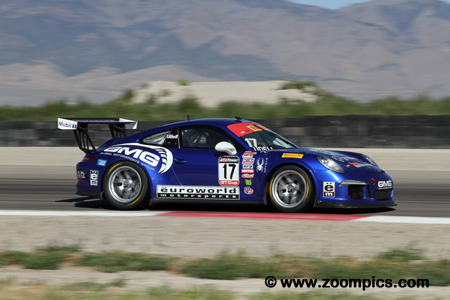 Alec Udell qualified the GMG Racing Porsche 911 GT3 Cup on the class pole for round fifteen. After twenty-six laps of close racing with Sloan Urry he finished in the runner-up position. In Sunday’s event, Udell started first again but this time, the challenge came from Mckay Snow. He passed Snow for the lead on lap-16 to notch up his tenth win of the season and increase his points lead over Urry. 2016 was the first appearance for Adderly Fong in the Pirelli World Challenge championship. Fong entered the series as an experienced driver with the 2013 Audi R8 LMS Cup title to his credit. 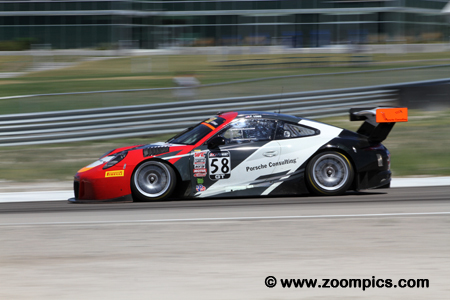 Fong’s best World Challenge finish to date had been a second at Road America in round thirteen. 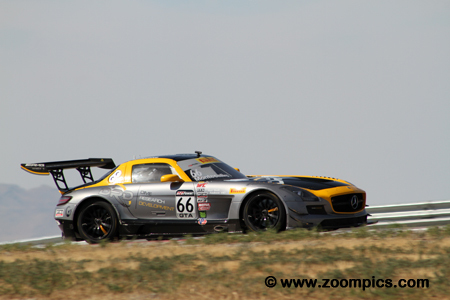 At the Utah Motorsports Campus event, he would match this result on Saturday and Sunday driving a Bentley Continental GT3. Driving the No. 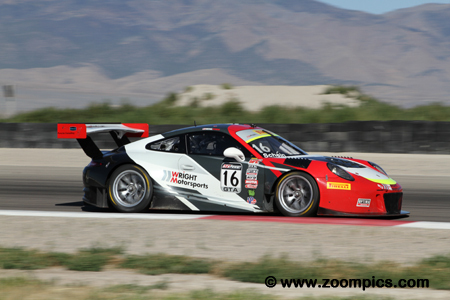 16 Porsche 911 GT3 R prepared by Wright Motorsports was Michael Schein. Schein competed in the GTA class and started last in the category after it was decided to change a tire before Saturday’s race. In round fourteen, he was able to pass Brent Holden in another Porsche and finish third. Capitalizing on Frankie Montecalvo issues in Sunday’s event, Schein finished in the runner-up spot. 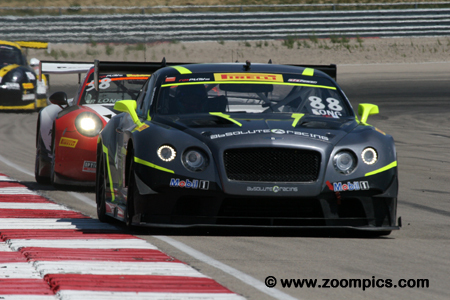 GT points leader Alvaro Parente championship hopes took a hit in round fifteen at Utah. 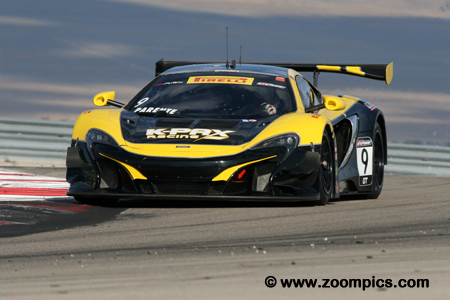 Parente topped the charts in practice and qualifying driving the K-Pax McLaren 650S GT3. At the start of Saturday’s race, he and Michael Cooper in a Cadillac made contact. The impact damaged Parente’s suspension and he was forced to retire. As a result, he scored no points and started last in round sixteen. The best Parente could do on Sunday was eleventh and he lost the points lead. Local resident and rookie Mckay Snow had ‘a lot to live up to’. Snow’s parents Martin and Melanie and his brother Madison have had a great deal of success racing sports cars. 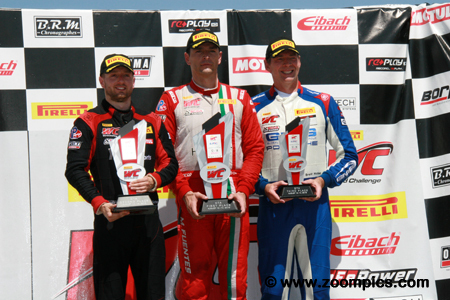 Mckay did not disappoint as he finished third in his first Pirelli World Challenge outing. In round sixteen on Sunday, the Porsche GT Cup driver led laps one through fifteen and eventually finished second to points leader Alec Udell. Frankie Montecalvo looked set to dominate the GTA class at the Utah Motorsport Campus. Montecalvo’s practice and qualifying times placed him among the more experienced professional GT drivers. In round sixteen, he started thirteenth overall and finished ninth to capture the class victory. Montecalvo dominated Sunday’s race until slowed by an issue – he finished last in the GTA category and twentieth overall. Patrick Long joined Wright Motorsports after round eight when EFFORT Racing decided to withdraw from the series. Starting with a new team early in the season did not appear to hinder Long’s performance. In the weekend’s first race, he started the No. 58 Porsche 911 GT3 R in fourth place and finished third. 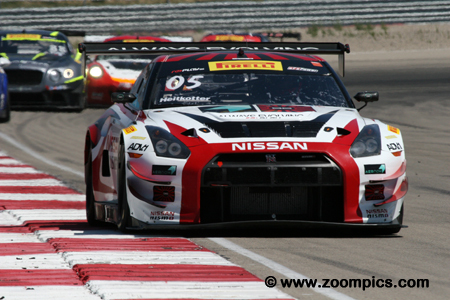 Long produced the same results in round seventeen but more important he took the GT points lead. The GTA podium from the weekend’s final event. In the center is the winner Martin Fuentes who captured his ninth victory of 2016. In doing so, Fuentes set a new record for the most wins in a season. To Fuentes right is Wright Motorsports driver Michael Schein and completing the podium is Brent Holden from GMG Racing.